The Staff is doing a great job, they came in and in the 1st month they killed 20 moles. 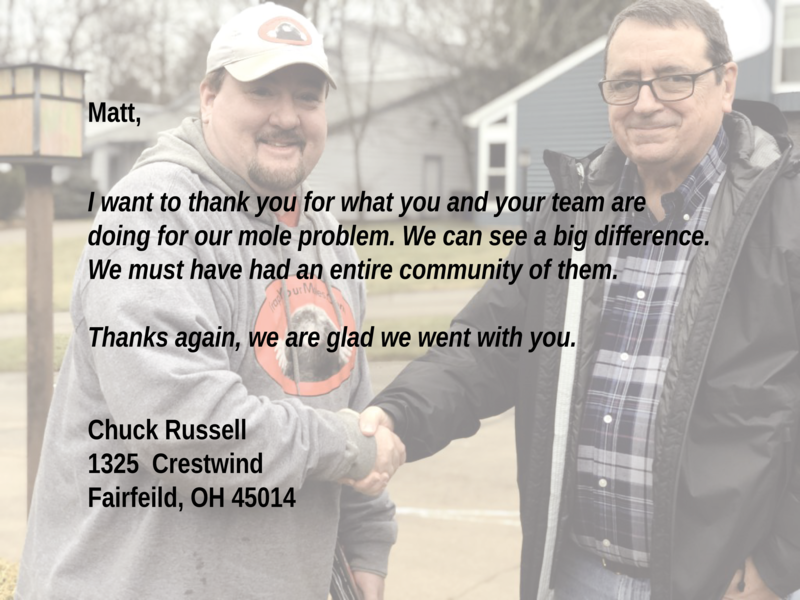 Great Job Staff, 10 moles in two weeks. They came out and caught a raccoon in one night. In 3 months, the staff had my yard mole free. My 2 acres was a mole field, in 6 months I was able to seed again, amazing work guys. They got rid of every mole in 3 months. In 2 months the staff had my yard mole free. In the first week the staff killed 30 moles! In 1 month the staff killed 22 moles. Great follow up, professional and friendly staff!